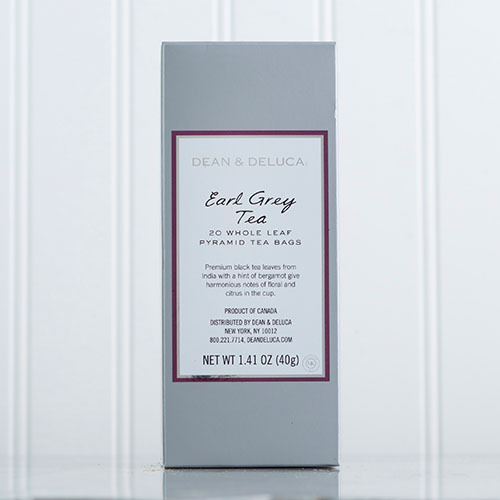 The Earl Grey blend, or "Earl Grey's Mixture", is assumed to be named after the 2nd Earl Grey, British Prime Minister in the 1830s and author of the Reform Bill of 1832, who reputedly received a gift, probably a diplomatic perquisite, of tea flavoured with bergamot oil. Bergamot orange (Citrus bergamia) is a small citrus tree which blossoms during the winter and is grown commercially in Italy. It is likely a hybrid of Citrus limetta and Citrus aurantium. During hot months, Earl grey can be transformed in a thirst quenching iced tea. Just brew double strength and pour over ice! Use 1 cup of hot water per teabag. Bring to a boil fresh water, pour over 1 teabag per teabag. Let steep 5 minutes. Remove teabag.